During a recent trip to Cancun, my best friend and I had the pleasure of enjoying a 12-hour guided tour through the jungles of the Yucatan Peninsula. It was easily the best day of our weeklong stay in Mexico! Our itinerary first included a stop in a traditional village to meet descendants of the ancient Mayans. Next we took a dip in a cenoté (underground cave) to cool off and purify our bodies prior to visiting Chichén Itzá, which was recently designated as one of the New Seven Wonders of the World. We finished the day by visiting the beautiful city of Valladolid, Mexico. Since we fit so many activities into one long day, I'm going to break the trip up into a few different posts. 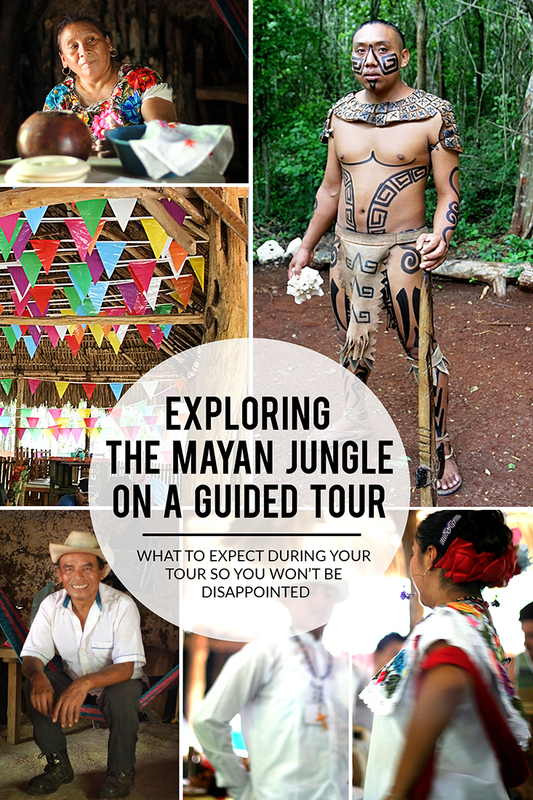 Today's post is about our trip deep into the jungle to meet and dine with descendants of the ancient Mayans. 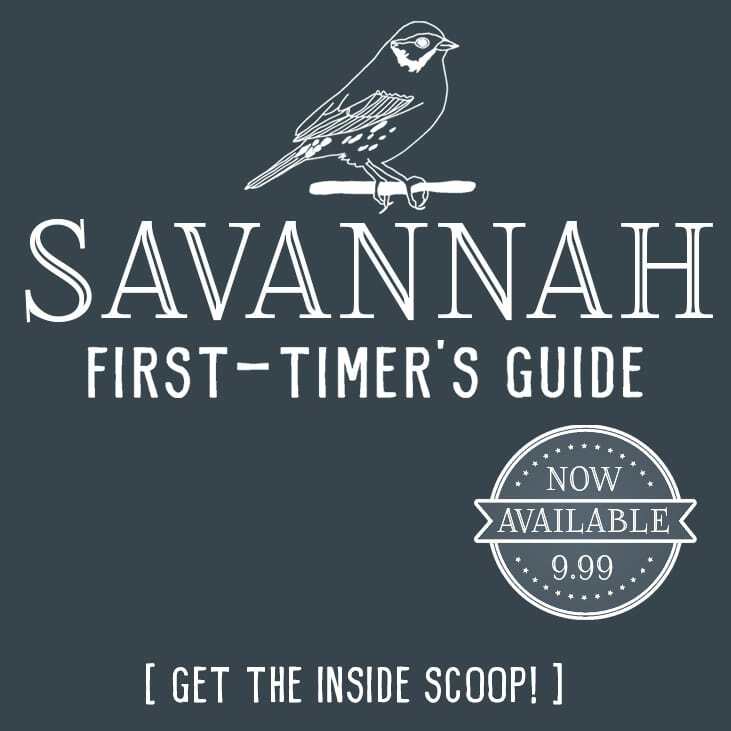 Learn what to expect on your tour so you won't be disappointed. Our tour guide, Navarro, was very friendly and knowledgeable, and he looked out for us as if we were family. In fact, he deemed those of us on the tour “mi familia” for the day. We felt very safe during our entire 12-hour journey. On the 2-hour drive from Cancun he explained that he was of Mayan decent, and then he shared his knowledge of the Mayan culture with us. He was a wealth of knowledge, and I could have listened to him talk all day. TIP: Wear comfortable/loose clothing, because it is hot in the jungle year-round. You'll also want good walking shoes, since you'll be doing a lot of walking on dirt or rock pathways. I wish I knew the name of the village we visited, but I can't find it on Google maps. It wasn't Rancho San Felipe or COBA, which are two of the more popular ones in the area. Even though it felt like the middle of nowhere, I was pleasantly surprised to have cell service and the ability to text. Navarro explained the rules of the village to us, which were to use common courtesy and to watch out for snakes. As we entered the village, a man dressed as a Mayan warrior in full war paint greeted us with a long blow on a conch shell. The walkway into the village was lined with tables with souvenirs available for purchase. Navarro pointed out each item and explained how obsidian was used to create knives in the village and that the silver jewelry was hand-stamped. He then answered the group's questions about symbols used in the Mayan calendar. The village consisted of homes crafted from sticks and palm tree fronds and connected by dirt paths. The village seemed somewhat staged. I didn't get the impression the people we met actually lived there beyond tour hours. Christopher and I did some shopping in the jungle after Navarro assured our group that the money went directly to support descendants of the Mayans living in the village. He claimed that isn't always the case. If you wait to make purchases at the ruins of Chichén Itzá instead, that money isn't distributed to Mayan descendants. It sounded like a scam to get us to purchase immediately, but we each decided to buy one item from the villagers. Fortunately for all parties involved, there was a credit card machine in the Mayan jungle. However, the service was spotty, so I recommend travelers bring pesos for payment. The mask I purchased was around 600 pesos, or approximately $35 U.S. dollars. Our guide informed us that all payments and tips are split evenly amongst the villagers at the end of the day. TIP: I suggest taking a few thousand pesos minimum (3000 pesos) if you go on a full day tour to Chichen Itza and the nearby villages. You will want to tip many people in multiple locations, purchase souvenirs, and have money for incidental items such as drinks, raincoats, etc. I purchased one of these masks. According to Navarro, one of the local villagers carved it by hand. Navarro brought a man over so I could shake his hand and compliment him on his work. 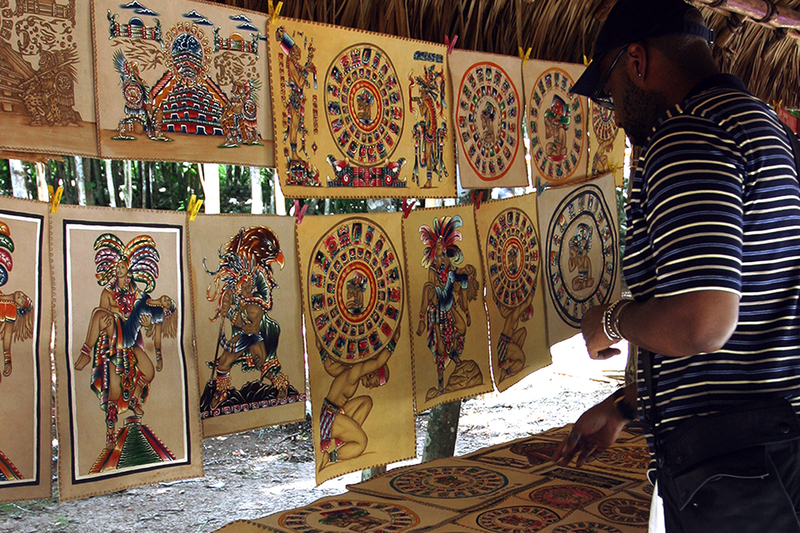 Christopher purchased an intricate Mayan calendar painted onto deerskin, plus a few additional gifts for his family. A village shaman blessed all purchased items prior to the tour's departure. Next we headed to the center of the village atop a small hill to eat lunch. Our original trip fee included lunch, minus the drinks. I brought water with me, but I couldn't resist the lure of a bottle of extra sweet Mexican Coke! Christopher and I both purchased one. That extra hit of sugar is nice when you've been sweating through the jungle all morning! Although Christopher looks suspicious in the photo below, the buffet-style lunch was actually quite tasty. It included shredded chicken, tortillas, rice, and veggies. Two local dancers entertained us as we ate. 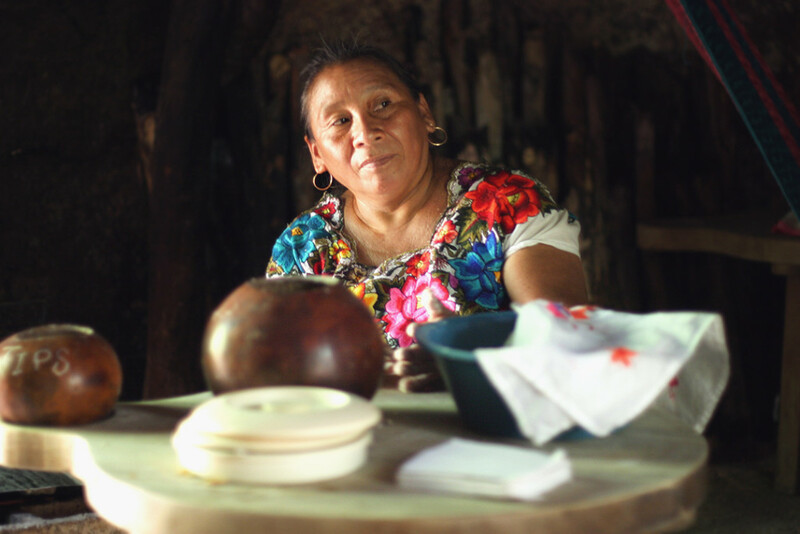 After lunch, we detoured into one of the huts, where we discovered this beautiful woman baking tortillas from scratch. The hut was very sparse, hot, and full of smoke. Her husband sat behind her, perched on a colorful hammock and wearing long pants and a straw hat. (I assumed he was supervising the cooking, as many men in the U.S. are prone to do.) This moment seemed like one of the few authentic ones in the village. This is one of my favorite photos from the trip! It's customary to request permission prior to taking a photo, so I did. (I also tipped.) This was how she chose to pose for my lens. If you're headed to the Yucatan Peninsula anytime in the near future, I highly recommend you take a day or two of your vacation to admire the UNESCO World Heritage site Chichén Itzá (post on that coming soon). 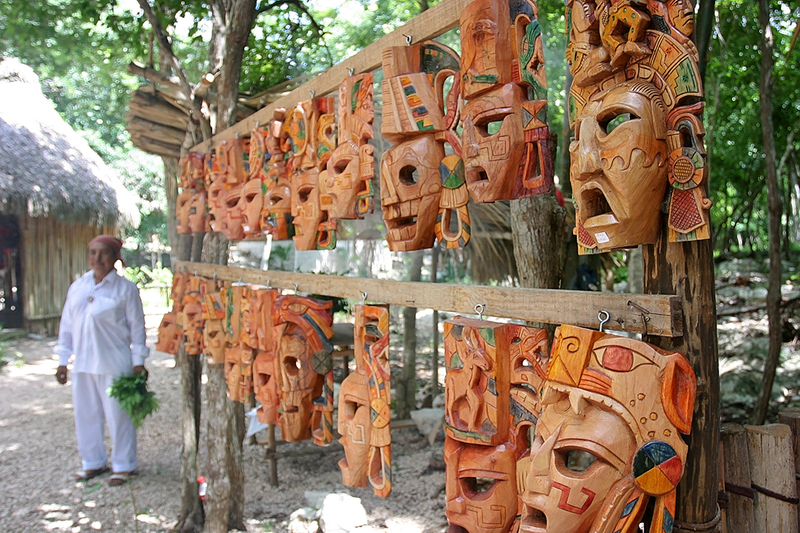 Experiencias Xcaret is a reputable touring company that currently has a 4.5 star rating on Trip Advisor. Experiencias Xcaret has various packages to choose from: Chichén Itzá, Tulum, Cobá or a Cenotes Tour. Each trip includes deluxe transportation (aka: a bus with air conditioning) and bilingual guides. You can schedule your tour in advance by clicking on this link to book a Chichén Itzá tour directly. Have you been on a tour similar to this one? What were your thoughts? Did it feel authentic or staged? I can't wait to hear your thoughts in the comments. As always, wishing you safe and happy travels! They were very talented artisans, and also very friendly and patient with our questions. I hope you get to visit someday!